This year has already turned out a bumper crop of great blues CDs and among the top ones so far is the self-titled release (their third album) by Anthony Rosano and the Conqueroos. Admittedly, this is Boomerocity’s first exposure to the band but rest assured we’re now fans for life. This blues album is some of the best new blues you’ll hear year to date. Straight out of the chute with the opening cut, 28 Days, Rosano and the band tears it up and nails it down with some blistering blues. From there, the guys take you all around the blues world with every kind of flavor and all delivered with raw, gritty excellence . . . just like you love your blues. The Boomerocity favorites are Long Island Sound and Blackbird. Either of these tunes are worth the price of the entire album. The album was produced by another amazing bluesman: Mike Zito (if you haven’t checked him out, do! Boomerocity also interviewed him a few years ago here). The project wasn’t hurt one bit by Anders Osbourne, Johnny Sansone, and Michael Harvey each lending a hand via their respective crafts. 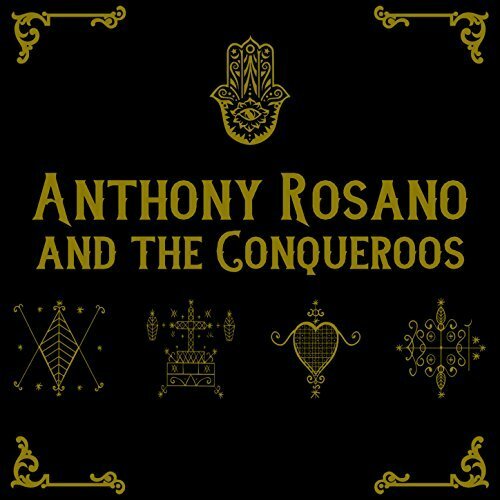 If you haven’t heard of Anthony Rosano and the Conqueroos and are looking for a new adventure in blues, take my word for it and order this CD. You’re gonna love it if you love the blues. Follow Anthony Rosano and the Conqueroos at www.conqueroos.com.